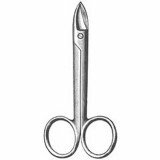 Common scissors types used during hand surgery include dissecting scissors with tips designed to aid in separating tissues by spreading rather than cutting them; suture scissors; micro scissors for cutting through blood vessels, nerve roots, and scar tissue. 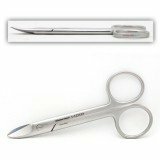 Popular patterns include Iris, Par, Razor edge Metzenbaum, Stevens Tenotomy, Wire Cutting, Martin, and Micro. 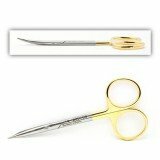 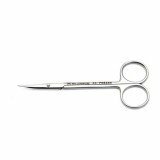 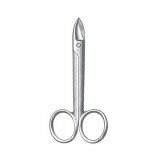 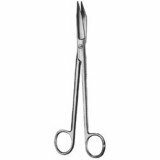 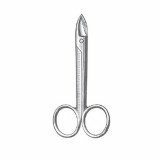 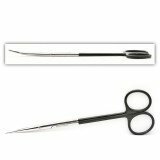 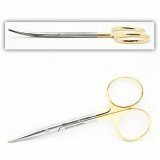 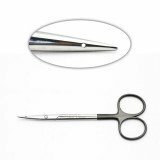 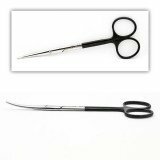 STEVENS TENOTOMY SCISSORS TUNGSTEN CARBIDE 4.